April is EARTH MONTH and Friday’s Earth Day 2016 is about loving our planet. We believe an organic, healthy lifestyle go hand in hand with loving our MOTHER EARTH. After all, the Earth provides all the goodness that goes into your favorite juice, smoothies and green bites you love at The GEM! We work so hard to be conscientious about recycling and “being green.” It’s our duty as humans! That is part of our GEM Creed and digs deep into who we are. This has been my objective for many years—it’s something we are very passionate about. Did you know these GEM green facts? 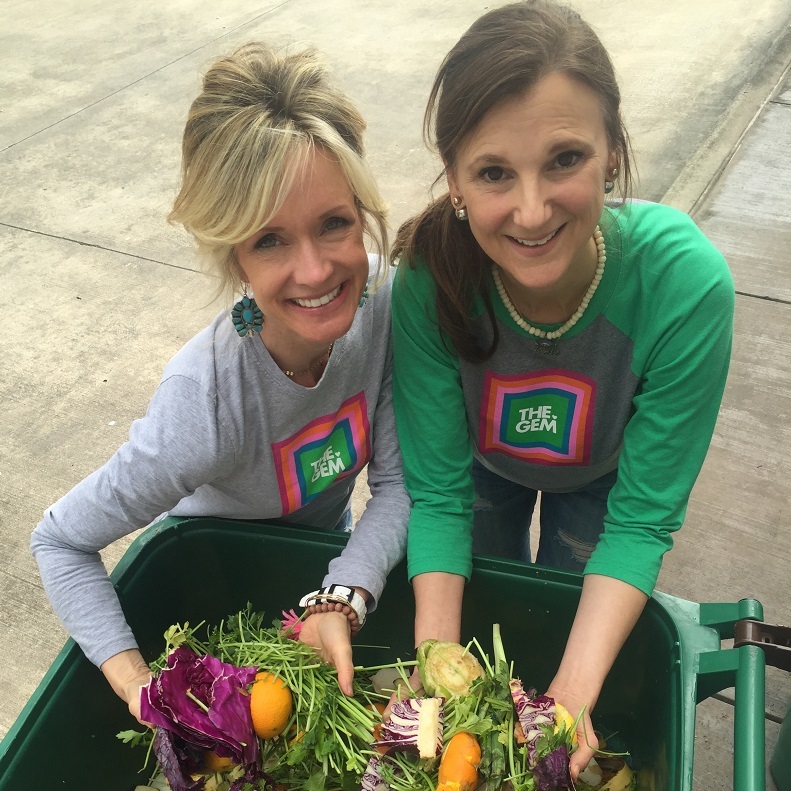 COMPOSTS all food waste since opening our doors more than four years ago … and in 2015 alone, diverted more than 30 tons from the landfills into the Texas Worm Ranch in Garland. REUSES glass bottles. Glass is one of the hardest things to recycle! RECYCLES paper and plastics. AND WE NEVER EVER USE STYROFOAM (it never breaks down in our landfills). USES carbon water filtration systems for food and juice preparation and production. Removing harmful toxins out of our most precious resource. ENCOURAGE regular GEM customers to return brown bags, glass shot bottles and juice/smoothie holders for reuse. Every little bit matters! The seemingly small contributions can make a difference. Over time, these things add up. I mean, over one year our compost totaled 30 TONS out of a landfill. Holy cow!!! So, what can you do? These green habits are things your entire family can do. Not only are they easy to implement and good for the earth this Earth Day 2016 … they save you money. Give up bulky plastic water bottles. In most cases this water is no better than what comes from the faucet. This change has a double benefit. The truth is, it is dangerous to your environment AND to our bodies. The water leaches chemicals from the plastics—these chemicals are endocrine disruptors and carcinogens. NO THANKS. It drives me crazy to see half used and un-recycled water bottles piling up in our homes, stadiums and workplaces. Instead, REDUCE your carbon footprint and install a water filtration system that will filter Volatile Organic Chemicals (VOC’s), heavy metals and pharmaceuticals. You can fill your own glass or metal bottles and take them wherever you go. I love my Swell bottle! Our favorite home filtration system is Everpure. Forget about Ziploc baggies! Just don’t buy them! Instead REUSE ones you get from stores or other products OR buy clever containers and lunch boxes that can be used again. Think of all of the landfills and oceans filled with your plastic bag waste. NOT gem~my. Use less water at home. Challenge the whole family to turn off the water when brushing their teeth. This is easy, and the water saved adds up quickly! Try taking shorter showers and baths. Consider installing low-flow aerators faucets and shower heads. These can make a big difference in your water usage and therefore, your water bill! JOIN THE GEM IN LOVING THE EARTH ALL YEAR LONG. Do you have a earth-friendly habit you’d like to share? We are all in this together! Let’s make a difference. Happy Earth Month! Happy Earth Day! This entry was posted in Happiness, Health, Sustainability and tagged conservation, conserve water, Earth, Earth Day, Earth Month, Everpure, glass bottles, glass containers, plastic bags, plastic bottles, recycle, reduce, reuse, Sustainability, Swell bottle, VOC, Volatile Organic Chemicals, water filtration, Whole Foods on April 19, 2016 by diamondsonyourinside.